Pope Tawadros had been home for only one day before leaving to Addis Ababa on Friday 26 September; he had just returned form a Scandinavian visit to Denmark and Sweden [http://en.wataninet.com/coptic-affairs-coptic-affairs/coptic-affairs/pope-tawadros-in-scandinavia/14667/]. In reply to reporters’ questions on the reason for that visit, the pope explained that: “we already have a church in Denmark and more than ten churches in Sweden. There are 15 Coptic bishops all over Europe, and five in the United States.” In Denmark, the Pope was received by Queen Margrethe, and in Sweden by King Karl Gustaf. The Pope said that the second half of October 2015 should see him embark on a three-week visit to the US, the first he pays since he became Pope in November 2012. “We have a large number of Coptic Orthodox churches in more than 60 countries all over the world; we should visit the congregation and assure them they are in our hearts and minds,” he said. In the US, the Pope said he will be visiting the oldest dioceses there: the Diocese of the Southern US where Anba Youssef is Bishop, and the Diocese of Los Angeles over which Anba Serapion presides as Bishop. 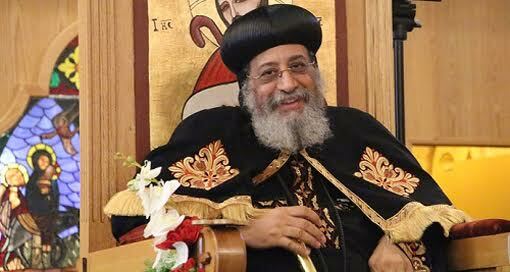 Pope Tawadros said that, once he is back form his US visit, he will resume his weekly Wednesday prayer meeting which had to be interrupted because of engagements outside Egypt. With work going on painting the icons of the St Mark cathedral in Abassiya, Cairo, where the Pope had been used to hold the prayer meeting, it will now be held every week in one of the many churches in Cairo.